It is lovely to receive a gift. Big or small, it’s the thought and the good intention behind it which warms the soul. I like to give people gifts that I have made. I like making things, and at least with a handmade gift I can know for sure that they won’t already have one like it. Still, I don’t always manage to give people gifts that I’ve made: time is short and I’m not that well-organised. There is a perception, however, that by giving a handmade gift you are some kind of cheapskate because you probably haven’t spent a lot of money on it. This implies that the most appreciated gifts are the most expensive. But I don’t necessarily agree. By giving an expensive gift you are showing that you have a lot of money and are willing to spend it on the recipient. That’s all very well, and such extravagance is exciting, both for the giver and receiver, especially when the gift is something that they really, really want. Don’t get me wrong, if someone gave me an iPad or a diamond necklace I’d be over the moon. But I’d also be a little embarrassed about returning such generosity. On the other hand, a handmade gift can actually be quite expensive when you consider the cost of the higher end yarns. But whatever the cost of your materials, a handmade gift should be especially appreciated: the time and skill involved really shows you care. 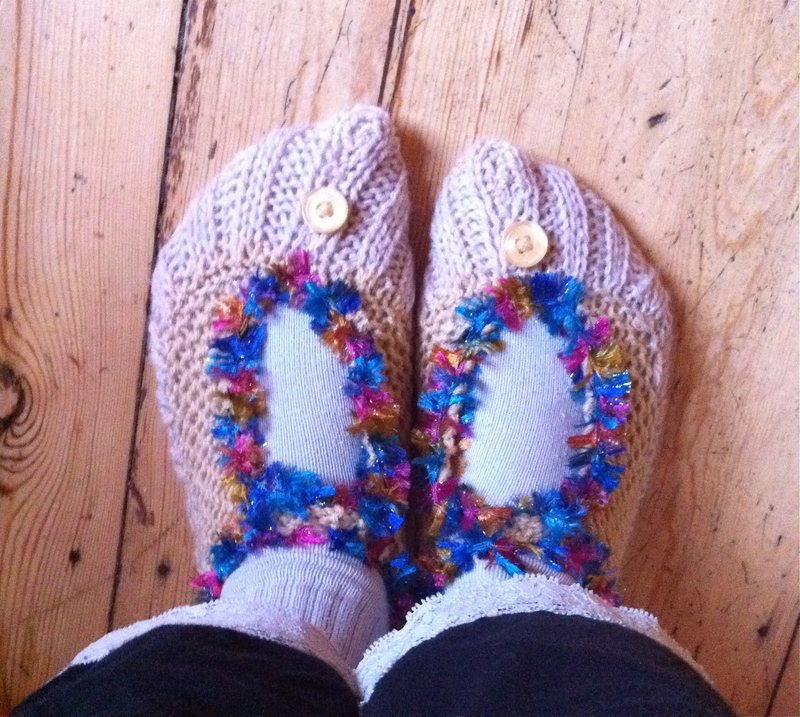 For Christmas I received these marvellous sparkly knitted slippers from a friend. The design and construction intrigued me. I loved the mad, multicoloured sparkly yarn they were trimmed with; I loved that they stayed securely on my feet; and that they were a perfect fit. I know my friend is on a tight budget, and I know these slippers would not have cost a lot to make, but that isn’t the point. The fact that they were made by her own fair hands is very special to me. She knows me, and she knew I would love them, wear them and find them interesting. For a gift you can’t ask for more than that. 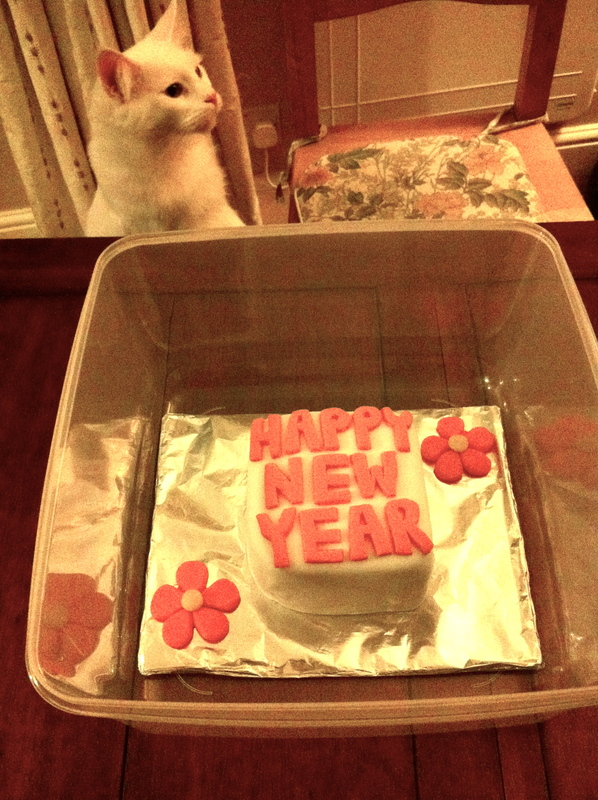 Last week we caught up with some friends who we hadn’t seen over the holidays because they had been ill. With embarrassment they presented us with this beautiful cake, being modelled here by Herbie. Seconds later he was trying to lick it. Our friends felt they had to excuse the absence of bought gifts. They felt they had to explain. They are both working, but with pay freezes, childcare costs and house maintenance they are feeling the pinch, and they hoped we would ‘make do’ with this offering. They further explained that it was a quarter of a large Christmas cake which they had baked but not managed to decorate because of illness. Of course we were delighted with our gift, and the fact it was handmade was all the more special. There was no need to explain. I love how the cake is boldly decorated and placed on a handmade silver foil cake board with extra sugar flowers. It’s just delightful. OH has not allowed me to cut it yet because it’s so special and beautiful and he wants to take a picture of it. We will eat it and enjoy it. What special handmade item did you give (or receive) this year? It was Christmas. 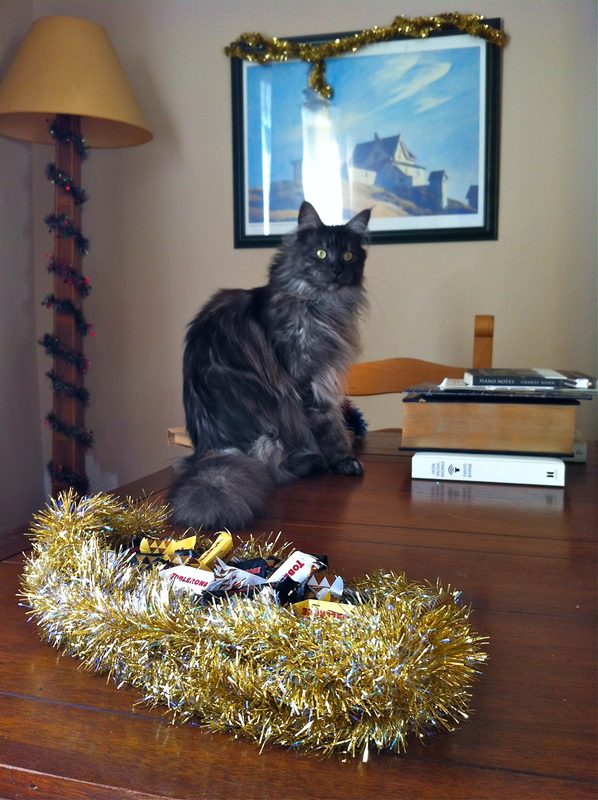 There was a lot of tinsel about. Monty was on the kitchen table. A few seconds later, Monty had made his point. 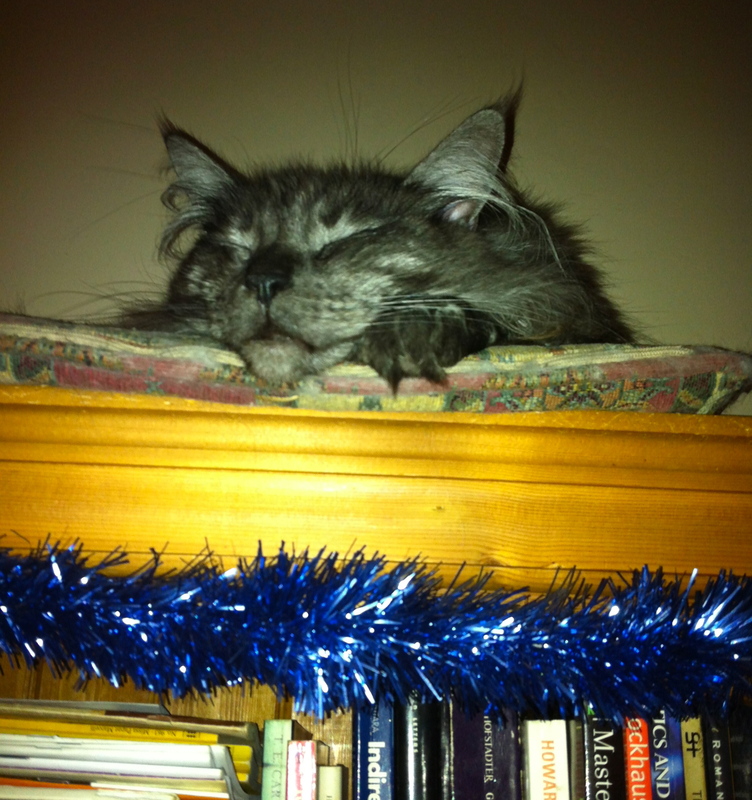 Job done, he retired to the top of the bookcase. Till next time, cat lovers! I am thrilled that Knitting With Heart has nominated me for the Leibster blog award! I am rather late in posting, because my laptop was only returned to me this week, so I have been busy catching up on all things online. I have size 9 feet. That’s UK size 9, which is just outside of normal range and therefore makes shoe shopping difficult. I have saved a fortune over the years by not being able to try on most shoes in most shops. Yellow is my favourite colour but I learned the hard way in teenage years, not to wear it. I adore Depeche Mode. But late Mode only, post 1990. My father was born in 1920, fought in the war, and had me when he was 51. I really love butter. The more upmarket and salty, the better. I kill houseplants. Quite easily. There are no plants in my house. Plants are better off taking their chances in the garden. I am from a little town on the south coast of England called Seaford. I was an alto in a choir for 9 years. I am absolutely useless at playing the piano although I can read music. I love dogs although I have never owned one. I can make a really good lemon meringue pie. There are the 11 random facts, off the top of my head, from the trivial to the less trivial. 1 What are you most proud of? Staying sane. 2 What makes you happy? Peace of mind. 3 Your most prized possession? My mother’s engagement ring. 4 What are you afraid of? Any of my loved ones coming to harm. 5 Why do you blog? Self-expression. 6 How would you describe your style? Bang off-trend. 7 What are you most grateful for? My ability to cope. 8 Best book you have ever read? Jane Eyre by Charlotte Bronte. I have read it many times. 9 What food do you hate? Beetroot. Horrible. It is not even possible to disguise the flavour with anything. 10 Your favourite ‘guilty pleasure’ song? ‘Rabbit‘ by Chas ‘n’ Dave. 11 Your favourite holiday? Christmas, because I get the whole week off and can eat and drink myself silly. 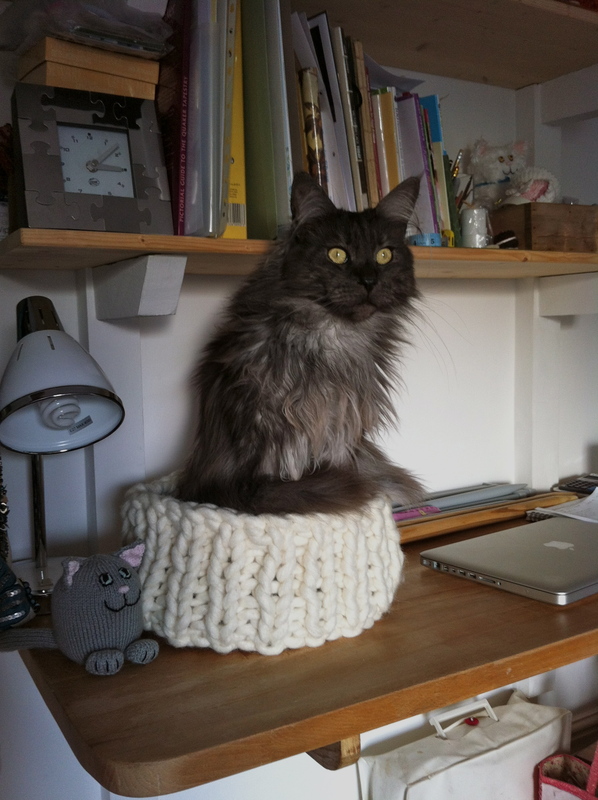 A Knitter’s Notebook – knitting, cats, beauty, upcycling – right up my street! 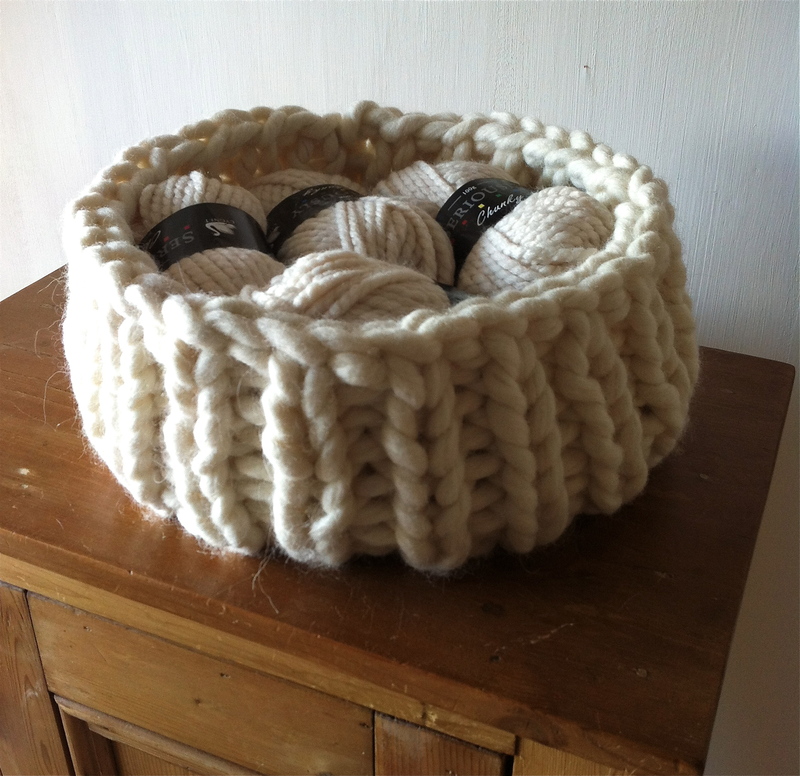 For the Knit of it – a great knitting blog! 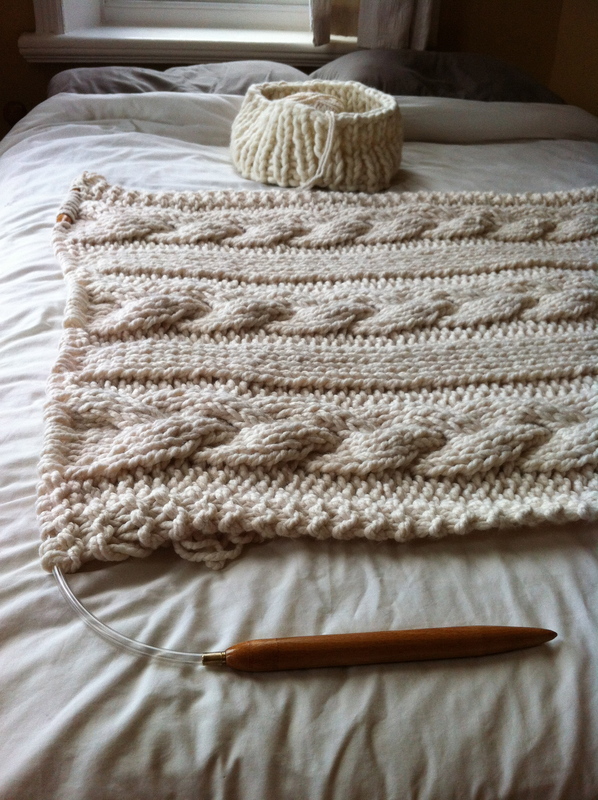 Skyscrapers and String – lovely knitting blog and beautiful white cat just like Herbie. The Procraftinator – a quality knitting blog! Lulubella dog blog – a really lovely doggie blog with good advice. Miss Kitty’s Yarn Creations – you must see the knitted skittle alley! 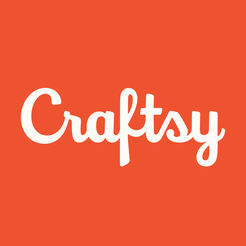 My Own Made – beautiful crafted items, check out the grey tunic, so elegant. A Tangled Yarn Knitting Adventure – crafting, recipes, inspiration! 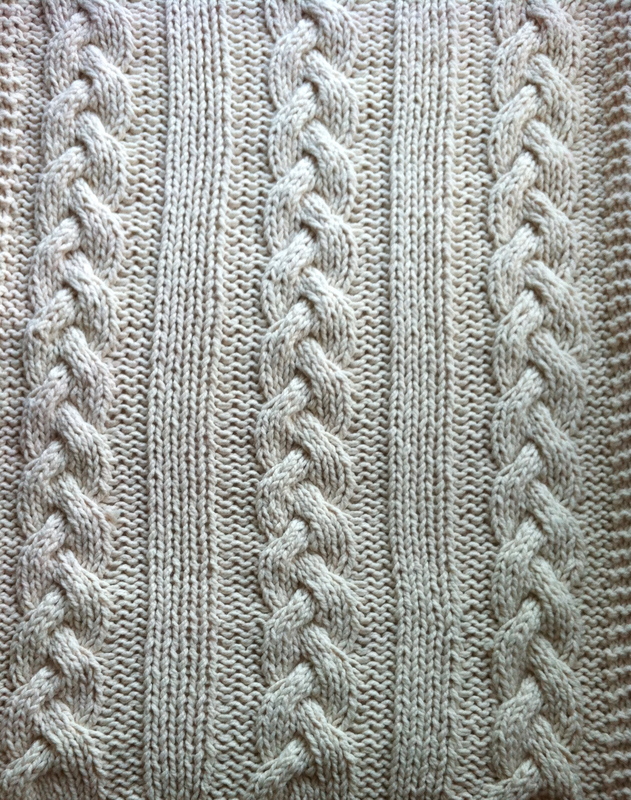 Stitch and Purl – a beautiful knitting blog. 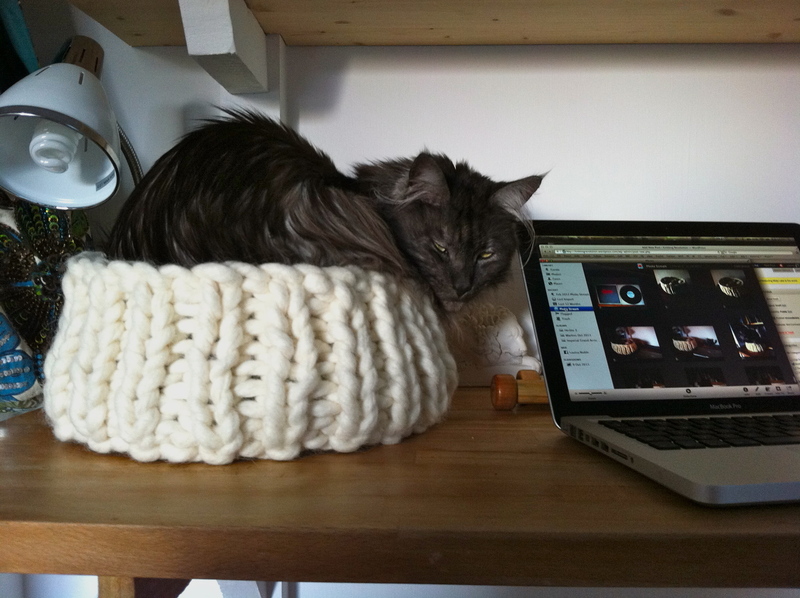 Candleowlknits – hilarious knitting blog! 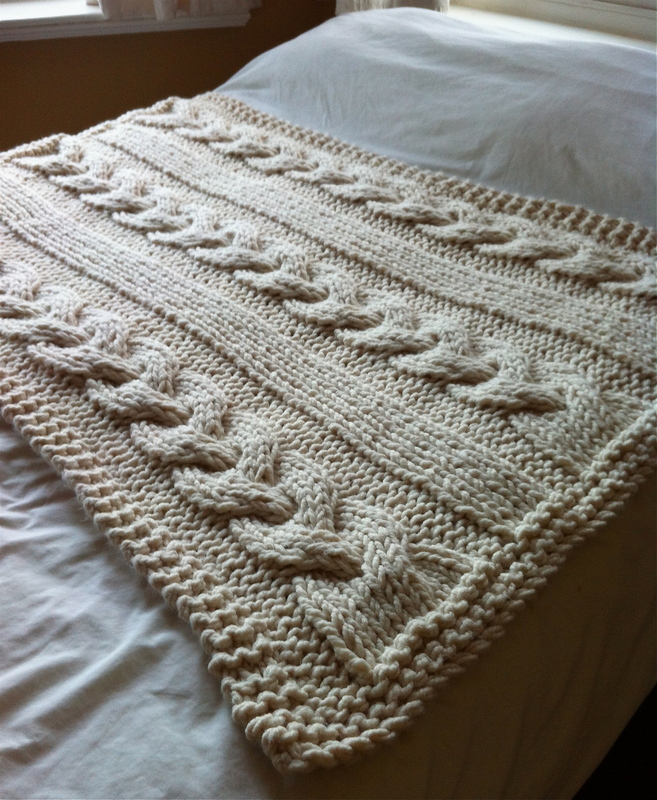 Knitted Notes – knitting and vintage movies, very stylish blog! Thanks again to Knitting with Heart for your nomination, and thanks to everyone who has liked and followed my blog so far. I’m very excited about moving forwards in 2013! Warning: sad post alert! Get some tissues now! 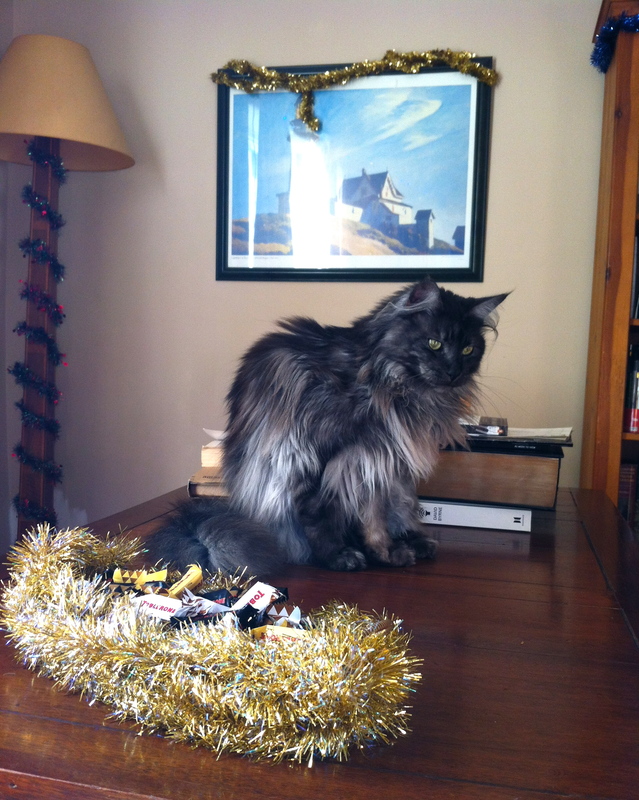 As a follow-up to my post of 7th October, my little old Gatekeeper left us on 6th December. We still cannot believe that he managed to hang on for two more months. I have never known a creature so unfazed by illness: Barney’s main concern was to carry on ‘ruling the roost’, as our vet put it. He was still mad keen for his food, and although he ate slowly he was usually first in the queue. He would eat whatever I gave him, whether ground raw mixes of chicken, turkey, rabbit or beef, and the odd tin of sardines. He would even gamely having a go at chunks of raw chicken. He had no sense of smell at this point, so I guess his survival instinct kicked in and he just ate. …for a while! Then Eric had to make do with the cat bed. 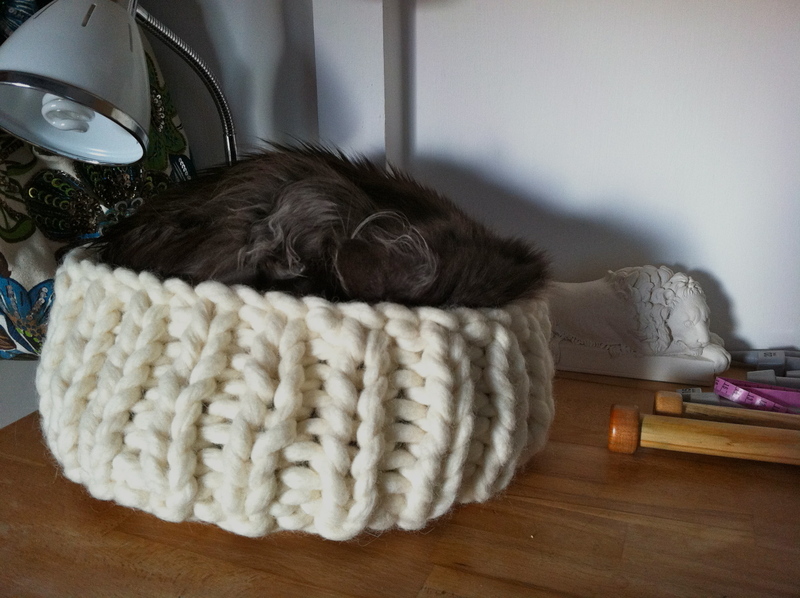 Fortunately he’s only a little dog so he just about fit in it. I love how these pictures show Barney’s legacy of ‘Dogs? Huh!’ I hope Larry, Monty and Herbie will always remember to be cool with dogs. During Barney’s last weeks, we were in a state of high Barney alert. Has he eaten? Does he seem tired or depressed? Is there any change in his habits today? We were acutely aware of his symptoms and his ability to shrug them off. Every day could have been his last. Every morning we thought, where is he – is he still alive? And he was – alive and demanding breakfast. Tough as old boots. Tough old moggy. His nosebleeds were less frequent and stopped. His breathing became less noisy. But we knew this was not actually a good sign. Looking carefully, we could see he was breathing through his mouth, just as the vet had foreseen. The tumour had progressed to the point of completely blocking his nose. Somehow or other, Barney carried on eating, walking around the table and greeting visitors. We were in an agony of indecision. Clearly his body was struggling, but we also felt that Barney’s indomitable spirit had to be respected. 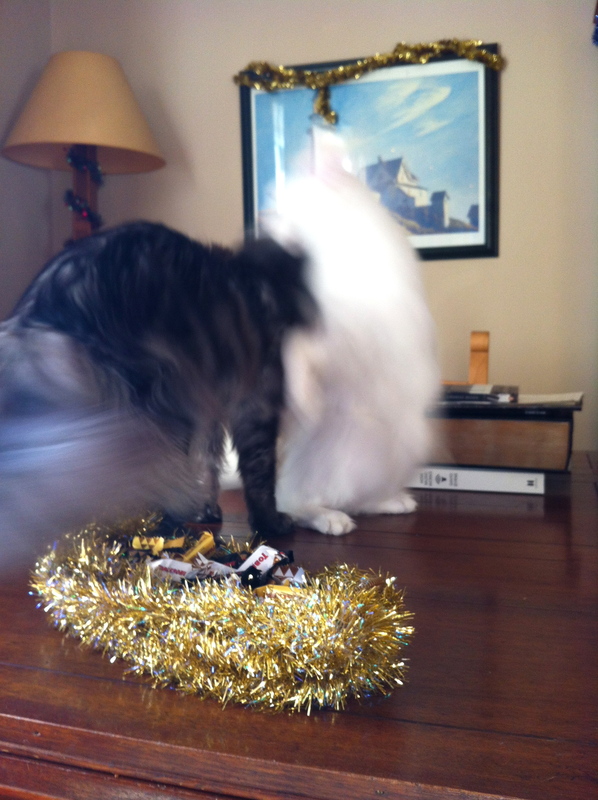 On 6th December Barney really did not want his breakfast. He was drinking a lot. He had a new unpleasant smell about him, and he seemed low. I knew it was time. I called work and said I wouldn’t be coming in. It wasn’t so much the refusal to eat: he had skipped the odd meal before only to tuck in 12 hours later. It was the smell which I remembered from Bob’s time, the stench of kidney failure. We could not leave it a moment longer. I gathered myself together and called the vet. Fortunately our veterinary surgery is at the end of our road, and our vet is a very kind Dutch lady who loves cats. I asked if she would come to the house when she had finished her appointments for the day. The receptionist put me on hold and then said the vet and the head nurse would be with us in half an hour. Barney was in his bed in front of the fire. The vet had trouble finding a vein as he was dehydrated. Barney swore at her – ‘get on with it woman!’ and he was gone in a few seconds. 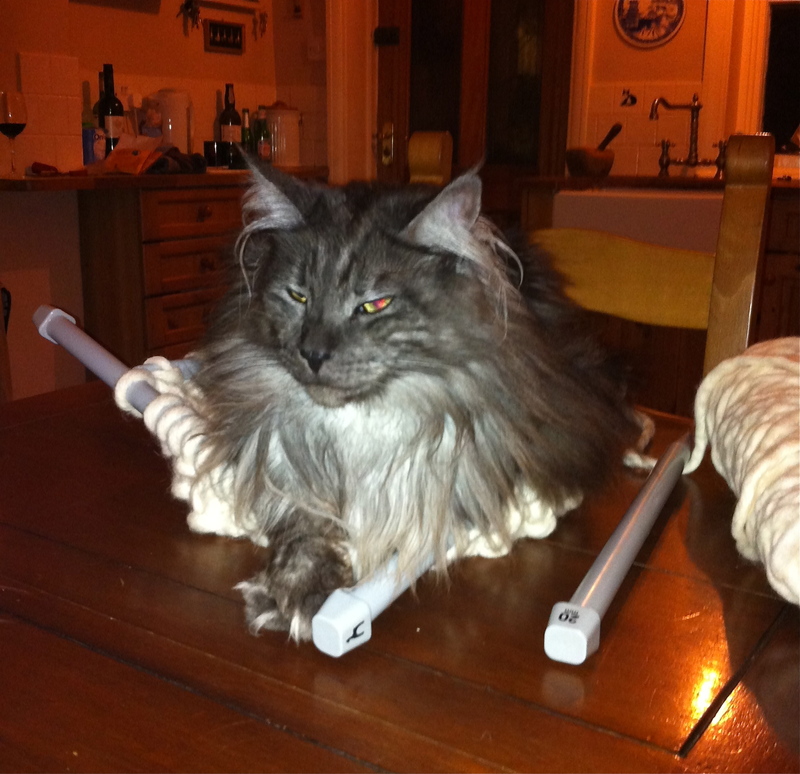 Tough, feisty old moggy to the very end. We did not want to keep his body or have his ashes returned to us. I have never derived any comfort from having tokens of death around the house, or bodies buried in the garden. We have a wooden casket of Fred’s ashes from 2003, and it makes me feel so uncomfortable that I have hidden it away in the attic. In 2010 we chose to bury Bob’s body in the garden, but I found the burial a hundred times more traumatic than the euthanasia and I was almost hysterical. So we asked the vet to remove Barney’s body for us. I was expecting her to produce a practical, heavy-duty plastic bag of some sort. But to my surprise she took out a rather nice pet blanket with a paw-print pattern all over it, to wrap him in. I was touched by her sensitivity. Every bereavement is different. After a long illness it comes as no surprise. There is not the raw shock of a sudden death of a young creature. I had already done a lot of grieving for the old lad. But the house felt very different and very empty. I realised how much I had worried about him over the last few weeks: the daily face-wiping, cleaning up, moving his tray around after him, trying to work out how much he had eaten, constant vigilance for signs of pain, and snatches of lap time whenever I could. I went through drawers and cupboards, throwing away his medication and his pills and potions. There is a big hole where all the love, care, and laughs used to be for Barney. A week later I got a card in the post from our vet. Enclosed was a packet of Forget-Me-Not seeds, to plant in the garden.